Junerabinki Jan 07 2018 2:17 pm I'm having fun watching this drama. It makes me hungry watching them cook. It's interesting how they used English songs in the soundtrack. 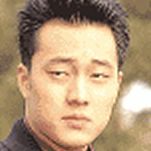 I'm still in the middle of the story and I'm wondering if #sojisub is going to be the real bad guy here (I hope not!). The story is interesting and enjoyable because it's light and funny and it doesn't break your heart too much. It also has some surprising twists in the plot. Can't to find out what happens next. Pinkylily May 06 2016 6:54 am woww, i seriously never realised tht actually big names like ji sung and kwon sang woo were also in this drama. so ji sub as the second lead. no wonder the first time i watched this drama for about like many years ago, i got a second lead syndrome and obsess about so ji sub XD he really did a good job in delicious proposal. A good yet delicious drama indeed . Eskimo May 02 2014 7:42 am This drama is so delicious indeed!! Despite being an old drama, I have to say that the plot of this drama is more interesting than many K-dramas nowadays. It's also a rare but delightful sight to see Ji Sung and Kwon Sang Woo as supporting roles, and So Ji Sub as a bad but not-so-bad second lead. Son Ye Jin was still such a baby in this drama and while her acting was obviously not as polished back then, I still enjoy her cute performance. It's just sad to see Jung Joon isn't as popular in Korean anymore. 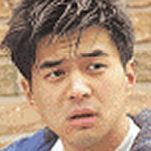 To think he used to be on top of Ji Sung, Kwon Sang Woo and So Ji Sub, and was paired with Son Ye Jin! In any case, this is a fun drama and all the delicious food it depicts will definitely make the audience go hungry!